The Victorian Government’s proposal for the new legislation to reform the Mental Health Act have been released as part of Mental Health Week. 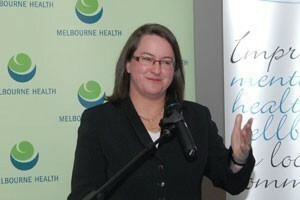 Victorian Mental Health Minister Mary Wooldridge has announced reforms to the Mental Health Act. “A new Mental Health Act for Victoria – Summary of proposed reforms” was released by Mental Health Minister Mary Wooldridge. Wooldridge says the proposals will put patients in public mental health services at the centre of decision-making on their treatment and recovery. She says the new Act will primarily address the compulsory treatment of people with a significant mental illness, and also covers matters such as the use of electroconvulsive therapy (ECT), bodily restraint and seclusion. A focus on minimising the duration of compulsory treatment and ensuring that where compulsory treatment is provided, it is done in the least restrictive and least intrusive manner possible. A shared decision-making model in which all patients are presumed to have the capacity to make decisions about their own treatment. Where this is not possible, they will be supported to be involved in the decision-making process to the greatest extent possible. Provisions to allow patients to make an ‘advance statement’ to record their treatment preferences in the event that they become unwell and require compulsory treatment; and to nominate a person to support them during compulsory treatment. Increased safeguards and oversight of services to protect the rights and dignity of people with a mental illness, including the establishment of a new Mental Health Tribunal and a Mental Health Complaints Commissioner. In addition, the Government says it will fund an advocacy and support service for patients receiving treatment through public mental health services. Victoria’s current Mental Health Act is the oldest in Australia and has not been significantly updated since 1986. “In developing these reforms, we conducted extensive consultation and received hundreds of written submissions,” Wooldridge said. “We have listened carefully to the views of the community and as a consequence, our reforms place mental health consumers, carers and their families at the heart of the new legislation.